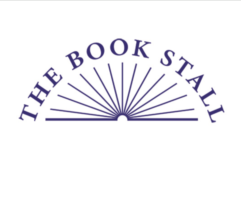 You are here: Home / Fundraising / The Book Stall Fundraiser May 10th & 11th! 9:30 – 10:30am — Volunteers (and their dogs!) from Sit Stay Read. Sit Stay Read is an organization that promotes literacy and was founded by Central parent, Sarah Murphy. 11:00 – 12:00pm — Author Tom Watson (creator of Stick Dog and a Central School favorite!) will be talking about his books, drawing his characters, and signing his books. Afternoon Story Times with Bolt the Fox Mascot, Principal Littmann, Principal Nasiakos, Librarian Linda Diekman, DST Bonny Skutch, and former Central teacher Chanel Pike. Please bring your children, friends, family, and shop for a great cause! We appreciate your support!